Feb 21 Savvy Potty Training for Pups! How much do we love little pups? Or, even big ones? When we urge our readers to take a ‘cute video’ break we are pointing them in the direction of all the funny YouTube vids featuring our furry friends. Puppies make our hearts happy. Well, in light of our love, and knowing that pups the world over love their own ‘patch,’ we wanted to let you know about Fresh Patch! Potty training applies to our pets too. Give Fido the best place to ‘go’ whenever they want with Fresh Patch! 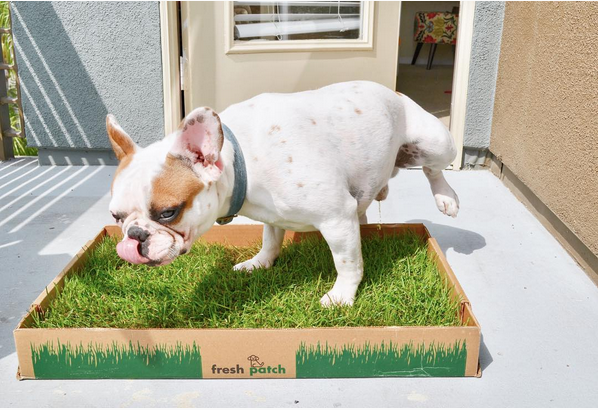 Potty training your pup can be frustrating when using pee pads, but the living grass from Fresh Patch absorbs liquids and controls odors naturally, turning puppy training into a stress-free experience. Your pup will love ‘ya for it!